If you are not COPING, our wellness programs will help you restore your health, recover and find your strength again. Take a break, have some fun, and meet other teens who get what you’re going through. WHO CARES FOR THE CARERS ? Over 1.5 million Australian carers are experiencing moderate to severe depression. Sometimes, the caring role can be so intense, so relentless, carers can’t cope. When carers are struggling to cope with their role, The Carers Foundation Australia provides evidence-informed wellness programs to help them rest, recover and access vital support to help them better cope at home. Carers have the worst physical and mental health of any known group in the community. They report high levels of burden, stress and distress, and contemplate suicide at more than eight times the rate of the general population. On the other hand, many carers who face extremely challenging circumstances report feelings of optimism, strength, enjoyment, and satisfaction with their role. Evidence suggests the difference between these experiences comes down to the resilience of the carer. A resilient carer is someone who is able to effectively cope and adapt to the pressure of caring for a loved one. Resilience is characterised by a strong support network, an optimistic outlook, and confidence in one’s ability to cope. Resilience in carers predicts the longevity of at-home care arrangements. 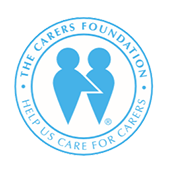 The Carers Foundation Australia helps carers to respond to extremely difficult situations in healthier ways. Hundreds of carers have attended our wellness programs and found that they are better able to cope with their role when they get home.